How does a clam make its shell? Snails usually begin to grow their protective shells before they hatch. The common garden snail hatches from a tiny round egg. Hidden under the young snail’s shell is a flap of skin called the mantle. The mantle oozes a limy liquid that quickly hardens into a shell. How do barnacles get on a ship’s hull? 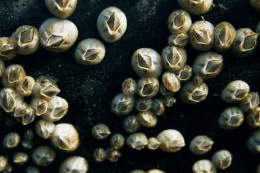 Barnacles can swim at birth. 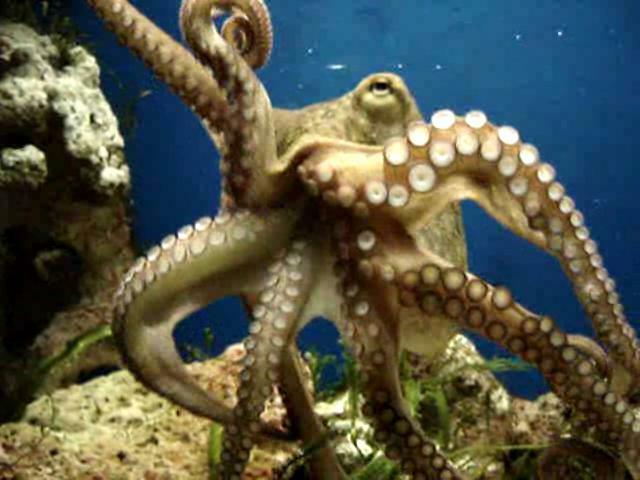 When they reach adult stage, they attach themselves to objects in the water and grow a shell. If you have ever visited a seacoast where there were rocks and piers you have almost certainly seen barnacles, for the “crush” you saw on the wharf’s pilings and the rocks was made up of millions of salt water shellfish called barnacles. When barnacle is first hatched, it resembles a young water flea and can swim about in the water. But when it reaches adult stage it can no longer swim, so it attaches itself to any convenient object, such as the hull of a ship, piling, rock, whale, or even a sting of seaweed. Once attached, a hard lime-like shell forms around the barnacles. The barnacle eats by waving its feathery legs through an opening in the shell to pull tiny sea creatures and plants into its mouth. Have you ever taken a walk along the beach to collect shells and found a gray, flat disk about 3 inches wide? If so, chances are what you found was the “shell” of a small animal known as a sand dollar that had been washed up by the tide. Of course, the sand dollar looked much different when it was alive than it did when you found it. sand dollars live in shallow coastal waters. 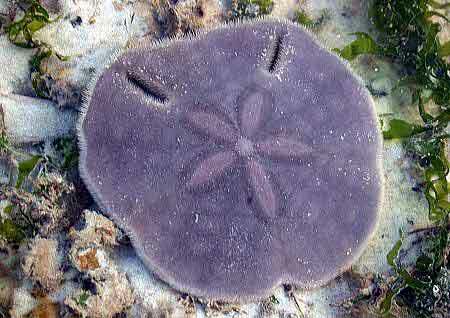 A living sand dollar’s body is covered with many tiny spines that form a purplish, furlike cover. By means of its spines, it pushes itself through the sand. The sand dollar’s mouth is a small hole in the center of its flat underside. It swallows sand and digests the tiny bits of food contained in it. The spines drop off when the animal dies. How does a chicken hatch from an egg? A baby chicken is born from an egg that comes from inside the mother hen. The chick that is inside the newly laid egg is a tiny cell called a “germ cell” that will develop into the baby chicken. If you look closely at the yolk, or yellow part of a hen’s egg, you can see the germ cell as a light-colored, pinhead-sized dot on the top of the yolk. The hen sits on the egg and keeps it warm. While she sits, the germ cell divides into other cells that form all the parts of the baby chick. The chick grows until it is so big that it fills the whole egg. When the chick is ready to hatch from the egg, it cracks the shell with its sharp beak and wiggles out. 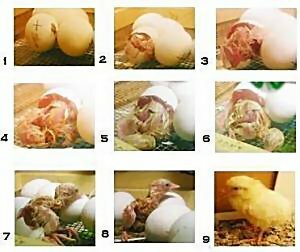 All baby birds hatch from eggs the same way that the baby chickens come into the world. An abalone is a kind of sea snail useful for its meat and colorful shell. It is a kind of sea snail that can be found living in most mild seas. In many places abalones are known as “ear shells” because their single flattened shell somewhat resembles a human ear. 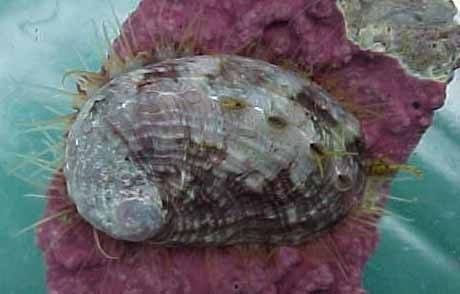 The abalone spends most of its life clinging to submerged rocks with its flat muscular foot. It can fasten itself to a rock so tightly that only a knife can pry it loose. It feeds on the plants that it can scrape off the rocks with its rasp-like tongue. Its hard shell, which may grow from a few inches to nearly a foot long, protects the abalone’s soft body. Abalone steak, the snail’s large foot, is a popular seafood dish in many countries. The pearly inner lining of the shell, called “mother-of-pearl,” is used in making buttons and other ornaments.